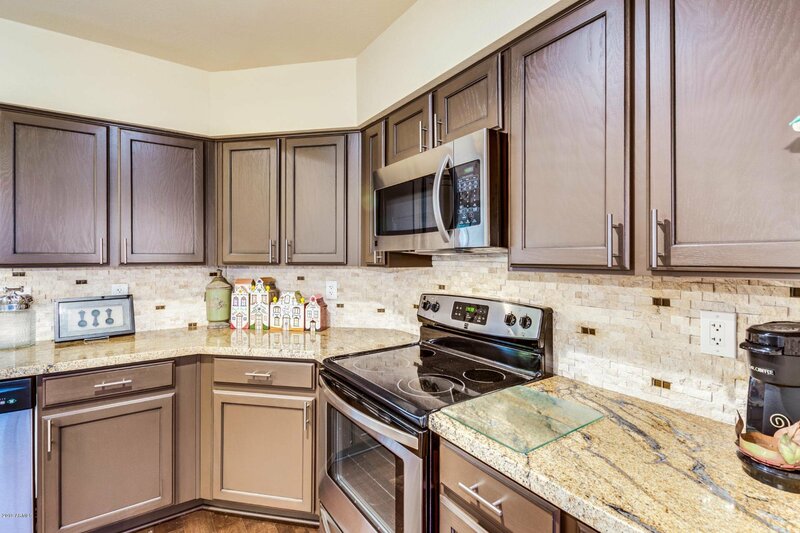 Updated 2 bedroom, 2 bath 1,378 sq. 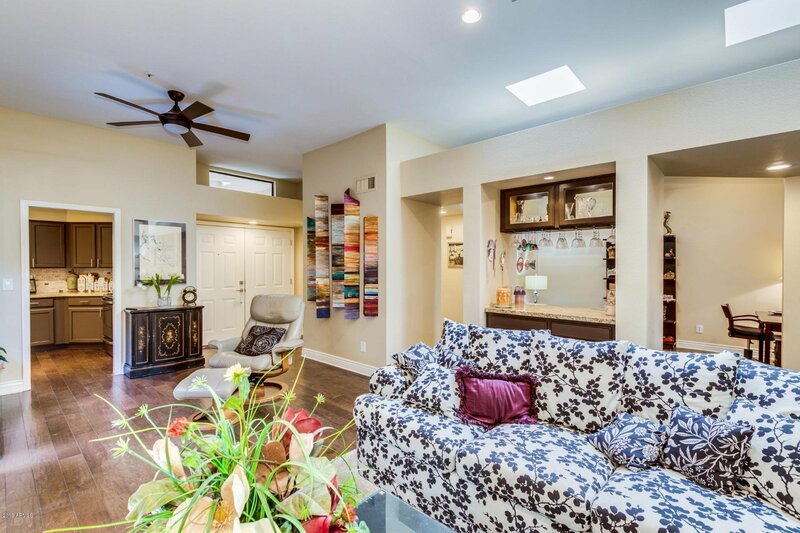 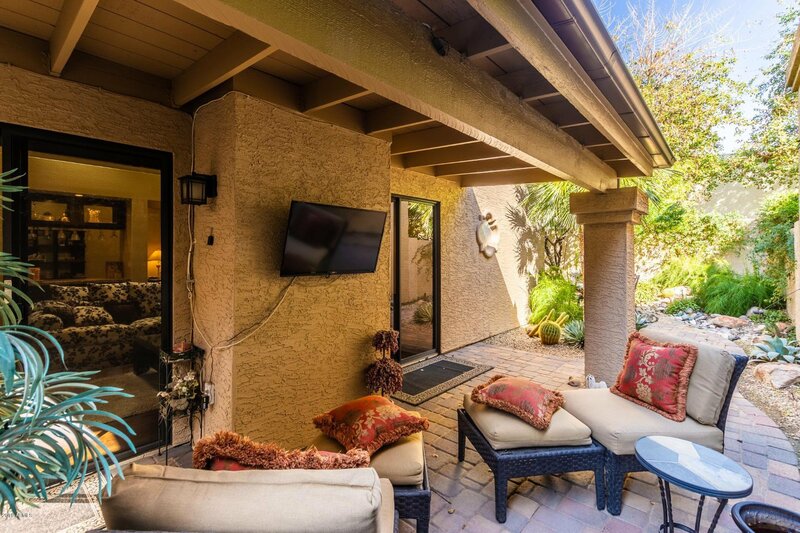 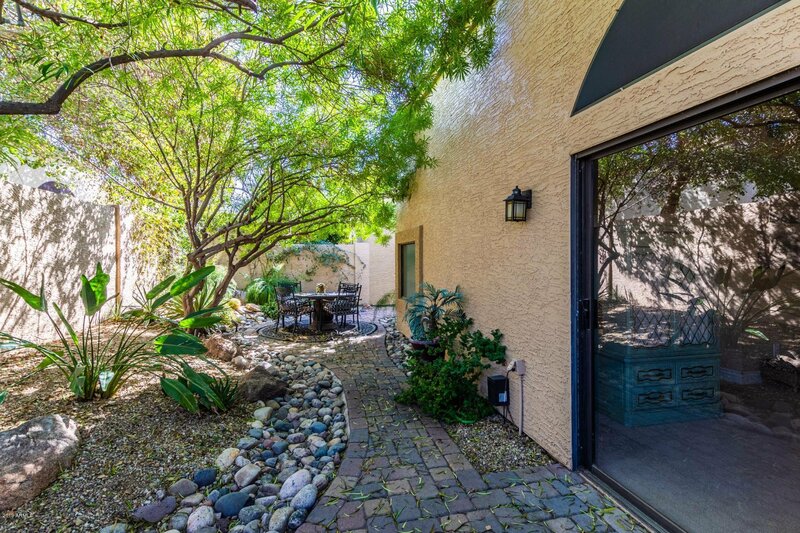 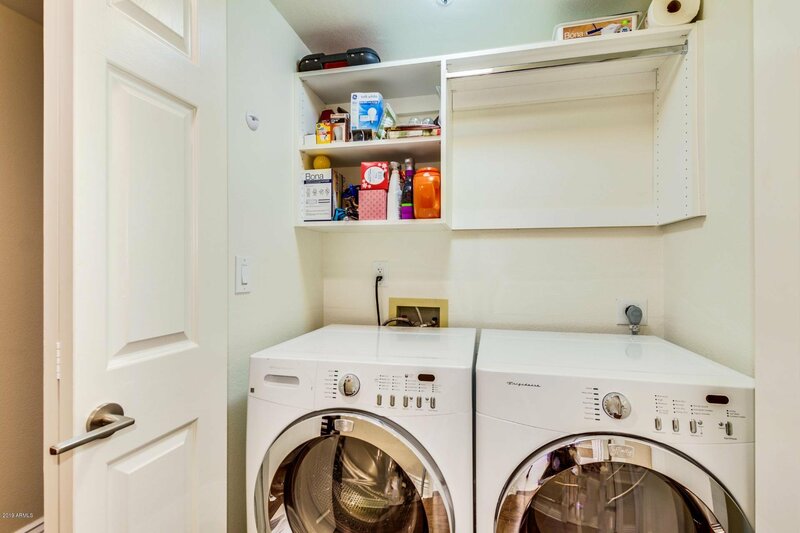 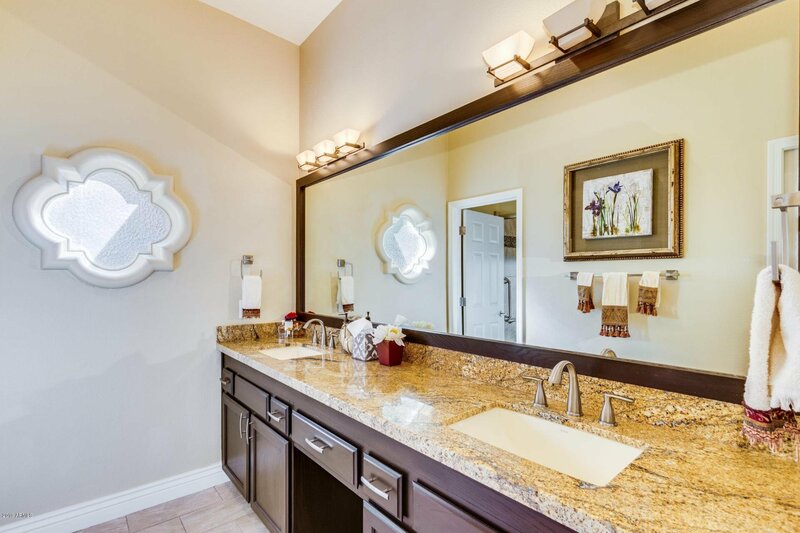 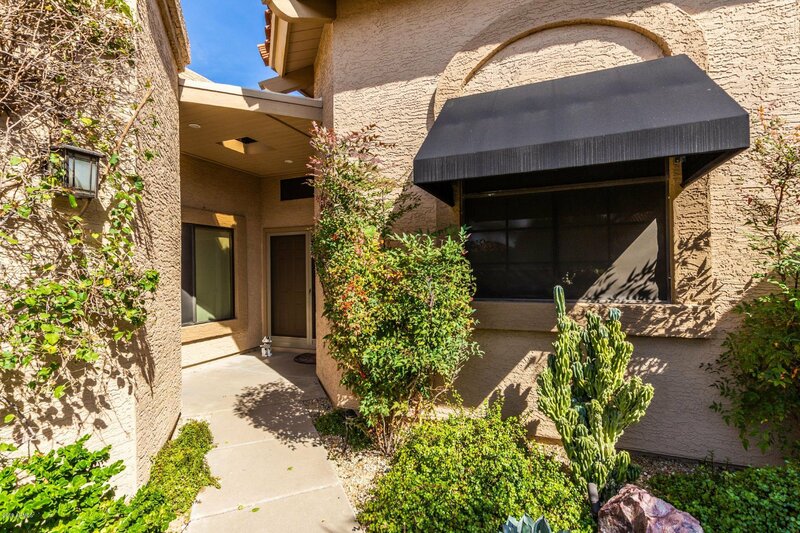 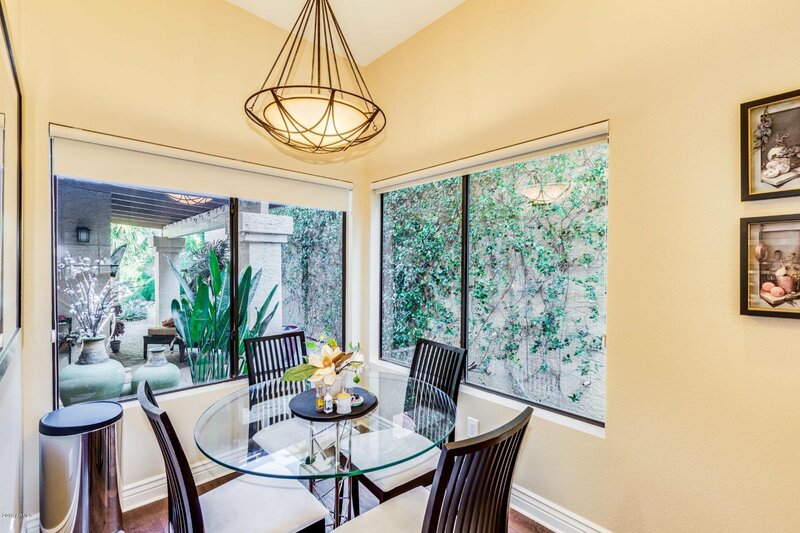 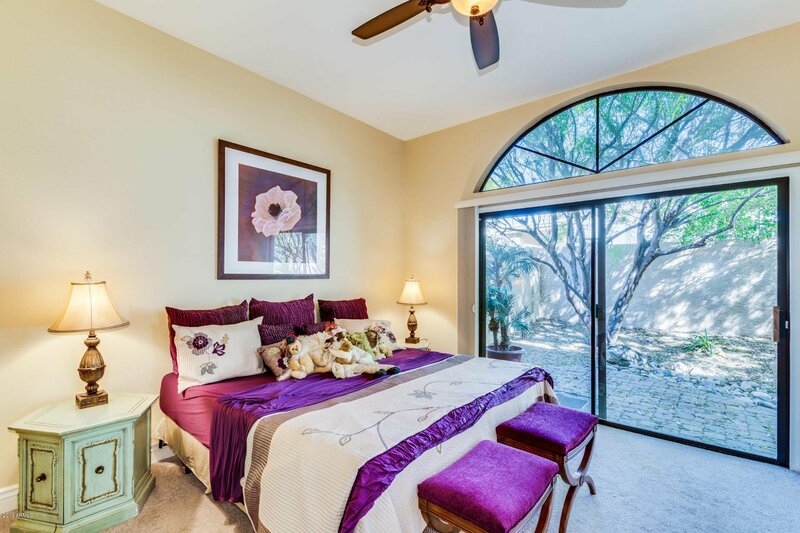 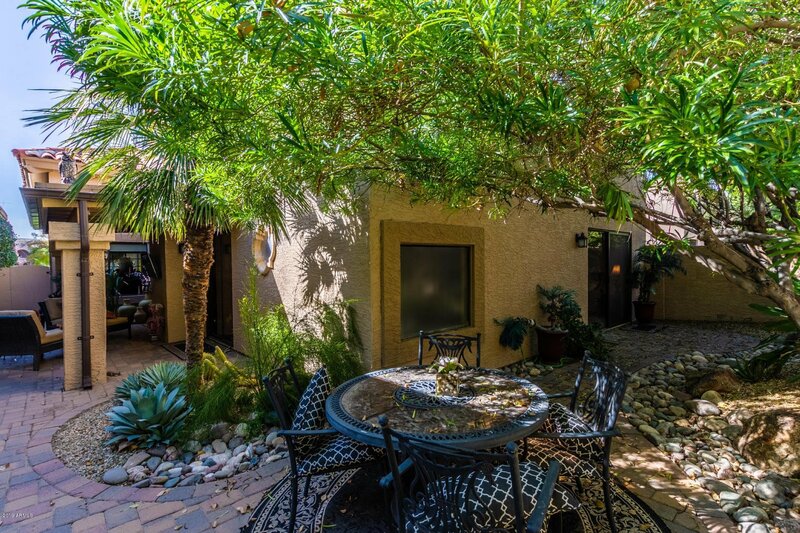 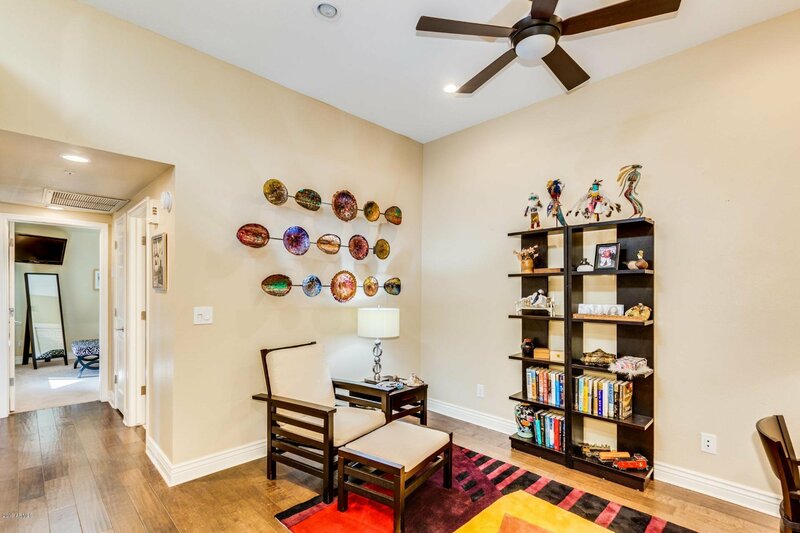 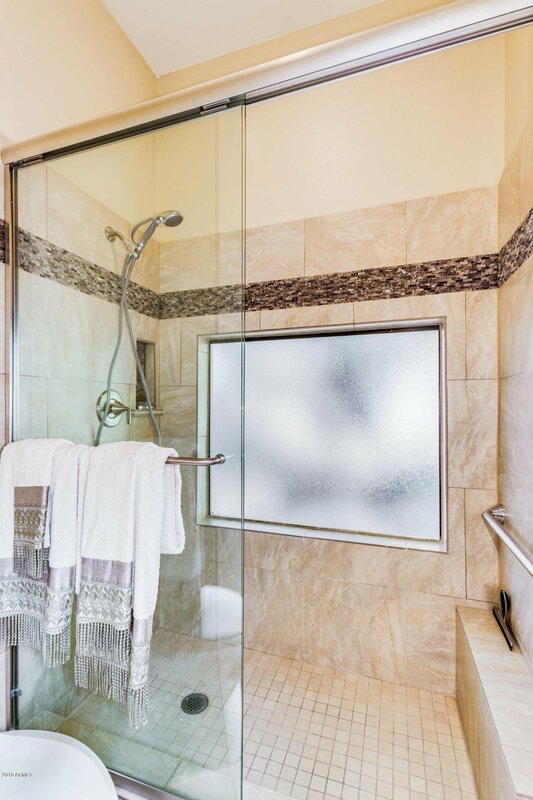 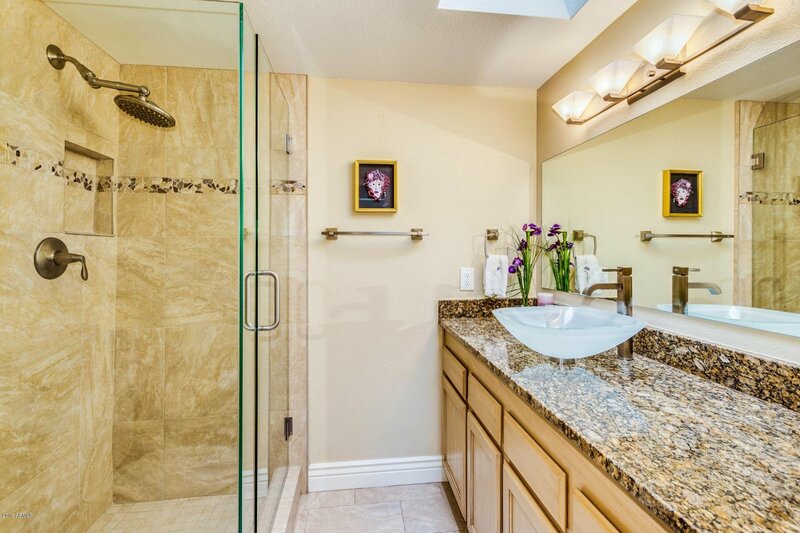 ft. abode within Scottsdale's coveted Suntree East gated community. 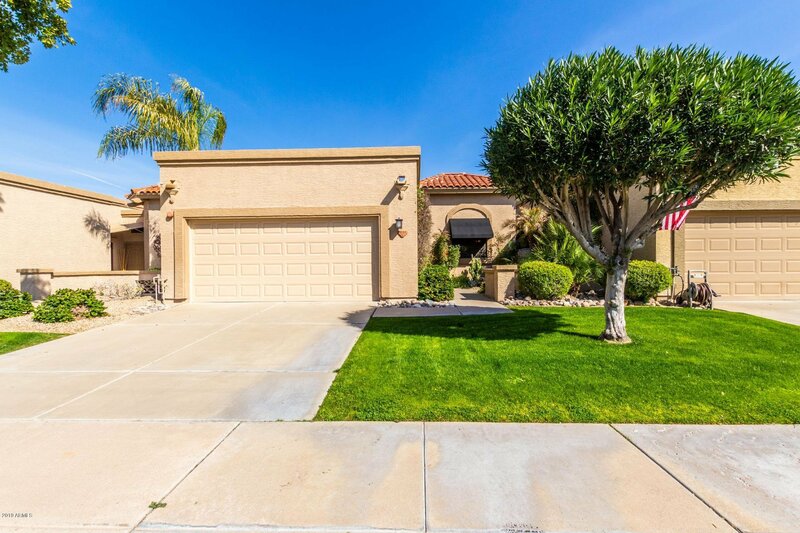 Lush, green grass in the front yard maintained by HOA. 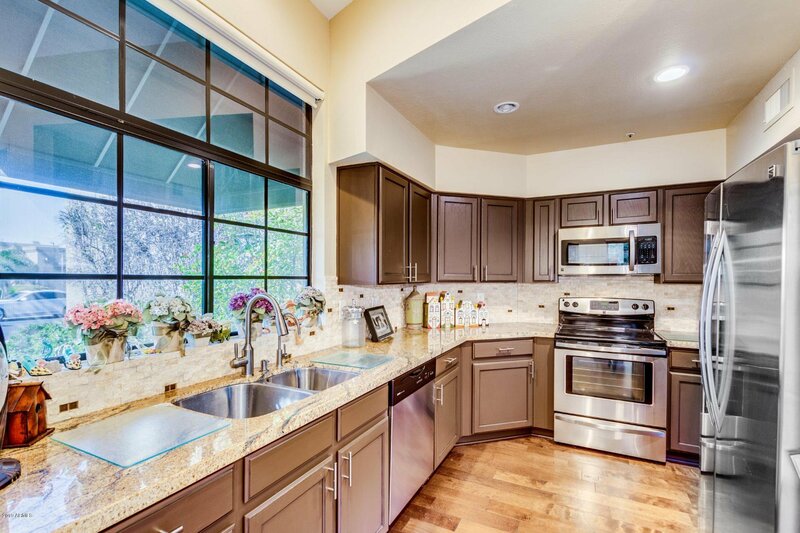 Kitchen with custom lighting, custom cabinetry, granite countertops, and state-of-the-art, stainless steel appliances. 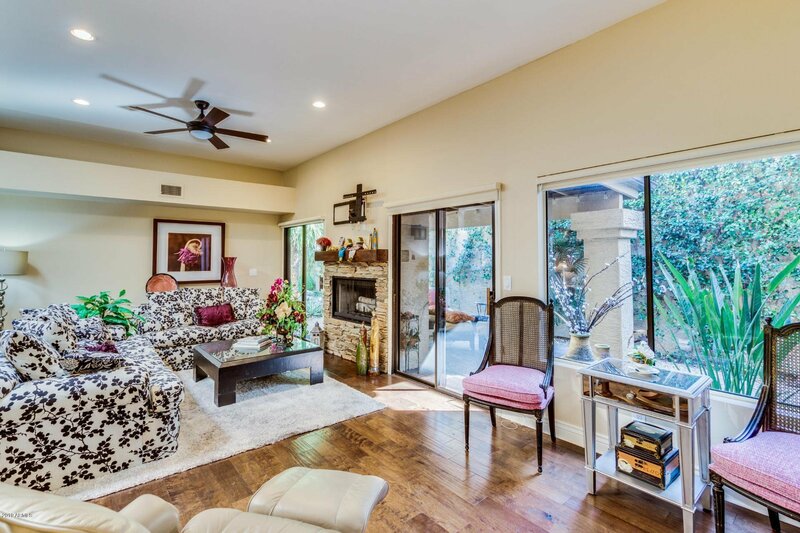 Spacious family room perfect for entertainment features bar area, stone fireplace. 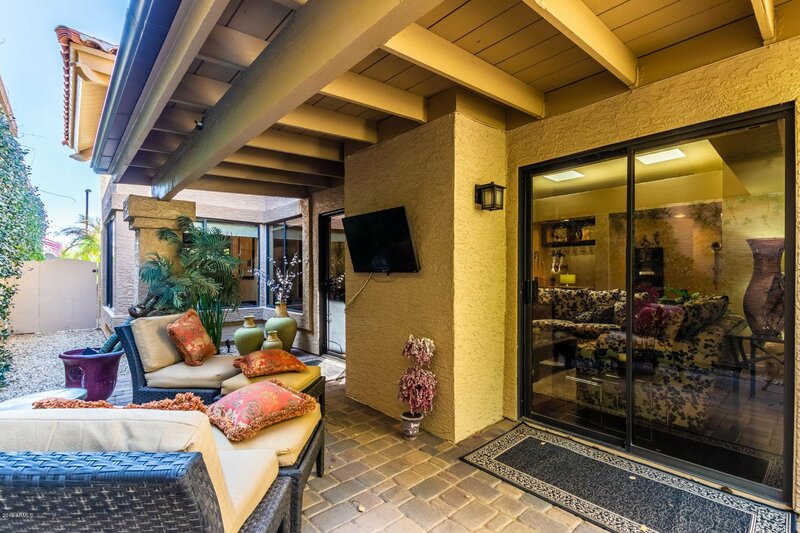 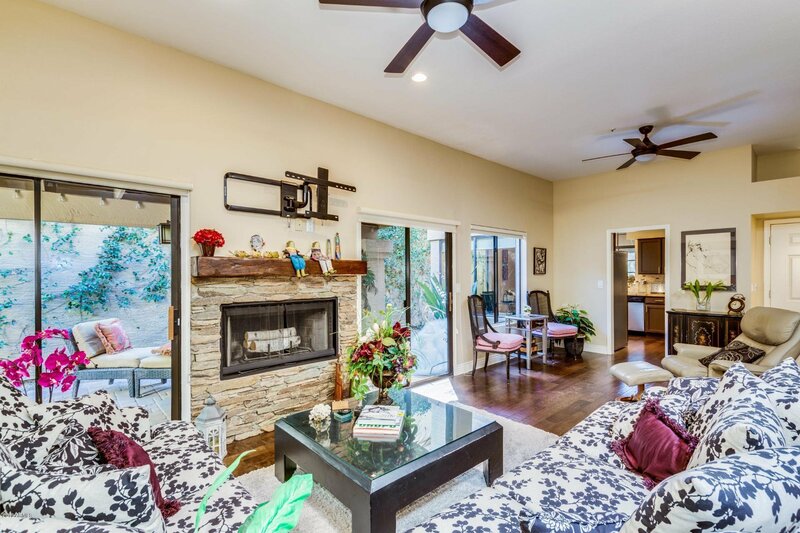 wood flooring thru-out w/ arcadia doors to covered brick patio with beautiful shade trees. 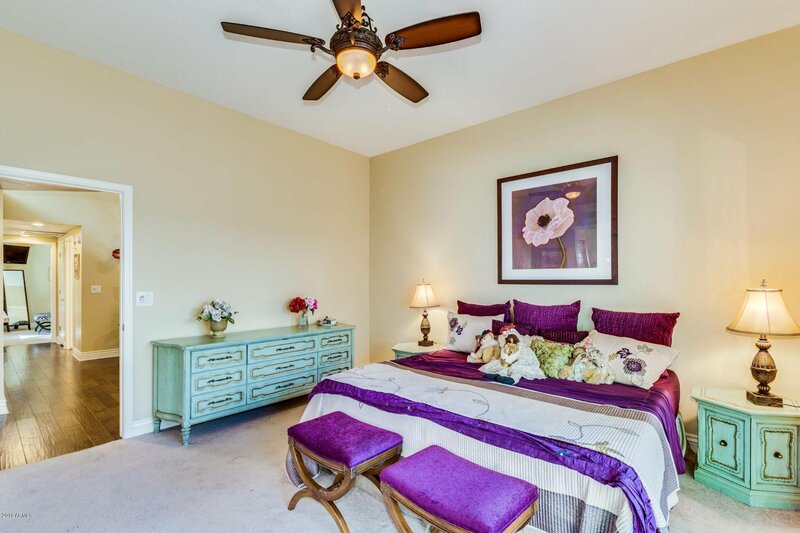 Master bedroom boasts separate exit into the backyard, walk-in closet, and luxury master bathroom, dual sinks, rich, custom cabinetry, custom lighting, and walk in shower. 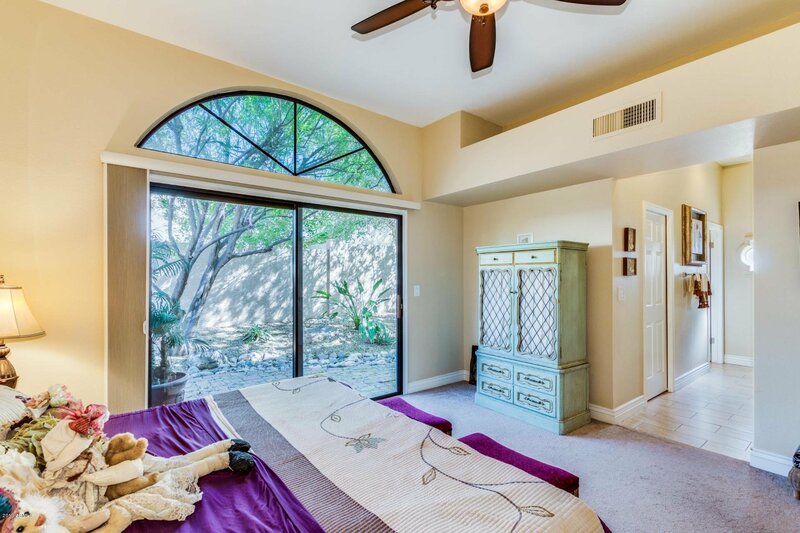 Formal living room or den separates master from guest bedroom and bath. 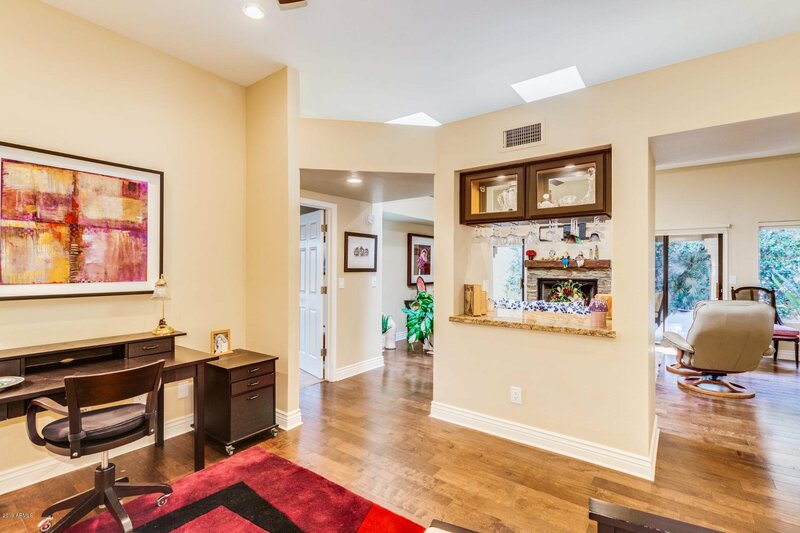 This highly desired single level floor plan has been updated galore.